Aero Club stalwart calls it a day… well, almost! After 41 years of continuous service to the South Canterbury Aero Club, Graeme McCleary has stepped aside. But he hasn’t' hung up his flying boots just yet, as John Nicolson found out. Maintaining an ageing, complex aircraft like the RNZAF's C-130 Hercules is never an easy task. This challenge, reports Judith Martin, is even greater when the aircraft is deployed to a distant country. Mike Feeney profiles one of the ag aviation industry's long-standing companies. 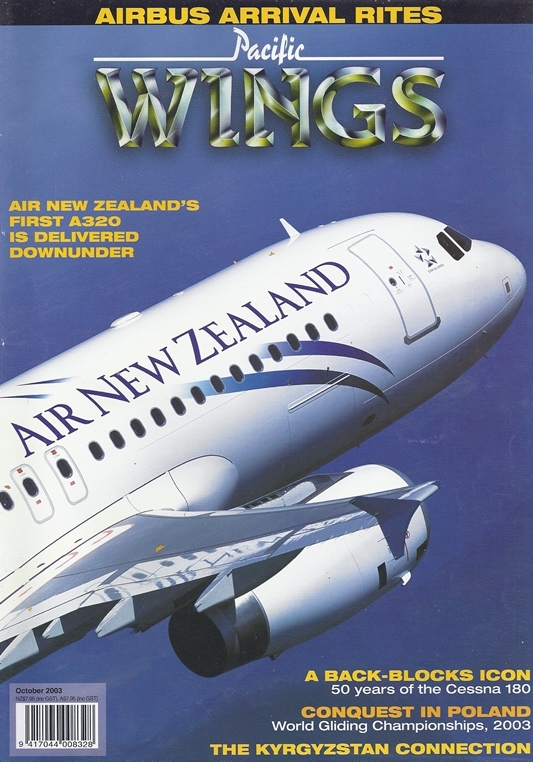 Peter Clark joined the delivery of Air New Zealand's first Airbus A320, ZK-OJA, and discovered what goes on behind the scenes when embarking on such an immense project. New Zealand can feel proud of the two pilots who represented it at the World Gliding Championships, for not only did John Coutts convincingly win the 15-metre Class, but together with Ben Flewett, who came seventh in the Standard Class, they won the World Cup for the best combined result by a team. Ross Macintyre reports from Leszno, Poland. The cessna 180 celebrates its 50h year since the type was first put into production. Revered by pilots and owners alike, this iconic taildragger workhorse has become the perennial favourite in New Zealand. Rob Neil admires the country's oldest example, ZK-BKG, while Dave Paull, who once flew 180s in the mid-1970s documents a brief history and evolution of the type.